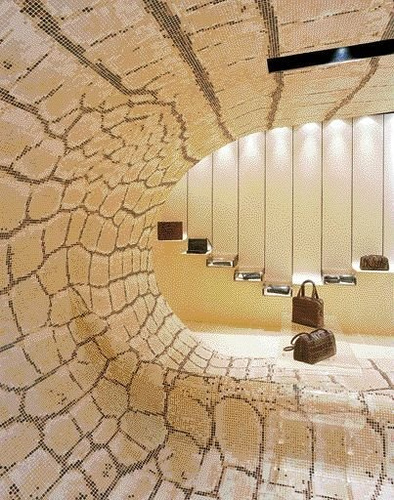 I recall first getting turned on to mosaic tile when I traveled to Europe. pool, flooring, commercial design and much more. classic decorative pieces and can make a wall seem like a natural hide. Bisazza is so far out in front of the rest of the industry in this and other areas. I discovered them a few years ago and have been awed at their ideas and solutions. I did my own giraffe and zebra/tiger designs well before seeing theirs and was amazed/startled to see we had essentially arrived at the same formulas. 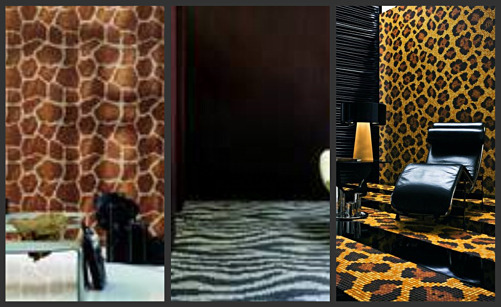 I am just starting a leopard design commission and I freely admit that I will be using Bisazza’s pattern because I know I cannot improve on it. I would be happy to share photos of some of my other mosaics. They are all “one of a kind/one at a time” pieces. Get started with mosaics today and open yourself up to a whole new way to look at the world.